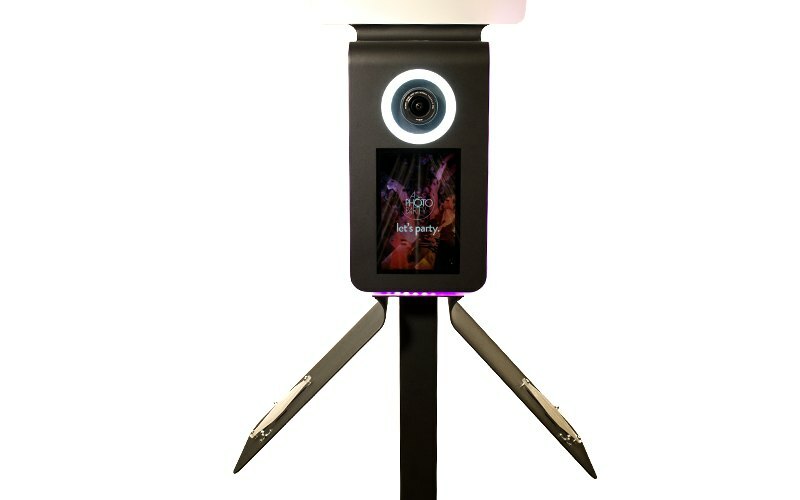 THE VENTURE IS AN EFFICIENT, LIGHTWEIGHT PHOTO BOOTH WITH POWER AND VERSATILITY. WITH THE SAME SLEEK DESIGN AND PERFORMANCE AS THE INFINITE, IT IS IDEAL FOR TRAVELING PROFESSIONAL AND NEW BOOTHERS. 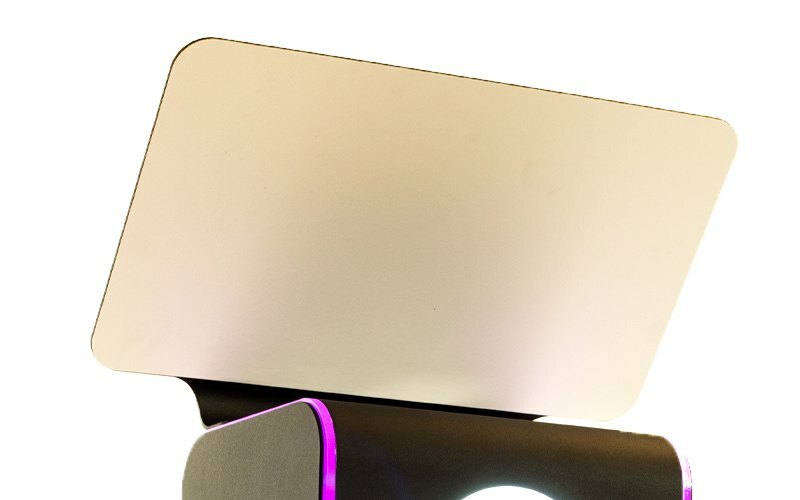 This booth is the first to combine adjustable interior lights with a sleek magnetic bounce card to create even, soft lighting; perfect for flattering photos and green screen keying. The Ring Light emits enough light to shoot in dark environments and adds a catch light in the guests eyes. Adjust the brightness to your liking with the dimmer switch inside of the booth. 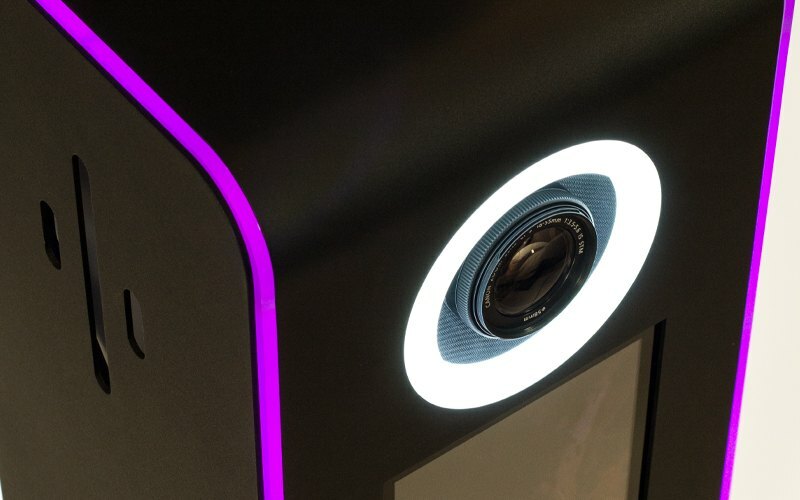 The responsive LED lights are a unique feature that react to booth functions, change color, and provide an additional light source. The 15.6″ touchscreen allows you to navigate and interact with our software on the high definition display. Our booth can accommodate a vesa mount on the backside of the body. Add any tablet to your booth or fix the head unit to the wall! The booth was designed with smooth aluminum surfaces ideal for vinyl wrapping and other branding. The booth, pole, and base assemble quickly and fit compactly in one case for easy transport. The side doors are bottom hinged to allow for quick and seamless access to all components. THE VENTURE IS POWERED BY OUR PROPRIETARY SOFTWARE, PHOTO BOOTH UPLOAD. You can load an unlimited number of custom backgrounds and let the guest select their own environment! And with our “Smart Placement Technology,” every photo is picture perfect. Create multi-frame photo animations with green screen backgrounds, custom logos, and instant uploading to Facebook, Twitter, Instagram, Email, and Print. Record 5 second video clips of your guests dancing, jumping, throwing confetti,and shooting off streamers then instantly transforms them into ultra slow-motion videos, easily uploaded onsite to social media. Transform your guests into another guest, celebrity image, or cartoon and instantly upload your animation to social media. The VENTURE integrates with Photo Party Upload to allow instant uploading to Email, Text, Facebook, Instagram, and Twitter from the booth’s touchscreen and/or wirelessly from a tablet. 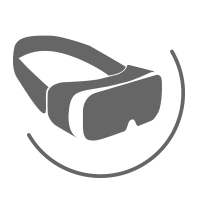 You can purchase our Virtual Reality feature as a premium add-on to your software and bring 3D 360 degree photos to your next event! To view samples, click here. What is the booth made out of? The booth is made out of an Aluminum alloy, with an acylic plastic LED border. That and the lifeblood of americans infused into every fiber. Does the booth and stand fit all in one case? How many camera's does the Venture have? One at a time. The camera attaches through a 3/4″ mount and can be switched out for a slow-mo camera or any other camera that attaches through that size mount. Is there a sharing station on the back? An optional attachment and sharing kiosk can be added to the back of the booth. The tablet arm attachment can accommodate iPads or most 10″ Windows tablets. Does the Venture have same processing power as the Infinite? Yes! The Venture uses the same powerful mini-pc that is inside the Infinite. Can the Venture be wall mounted? Yes! 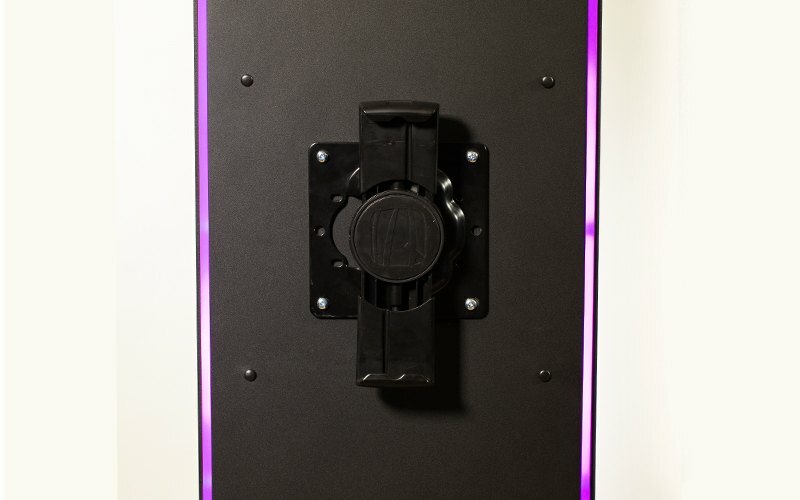 The Venture has a standard 200×200 VESA hole pattern on the back that can be used to mount it to a wall (or any other surface). What is the difference between the Venture and INFINITE? The Venture is a light weight, portable solution for a beginning boother or a pro looking for a simple solution. Can it be vinyl wrapped? Why would I do this? All of our products can be vinyl wrapped. This allows you the ability to put your clients branding on the product. Vinyl wrap can be used as an upsell to clients and has been a game changer for our events department. How long will it take for me to receive my booth after purchase? Delivery time is based off demand for our products and your location. Our estimated shipping time is one week after purchase. This may vary in peak times of the year. Once shipped the booth takes 3-5 business days domestically and will require a signature upon delivery. Rush delivery is available for an additional fee. Can I ship the booth internationally? Yes, please call for your international quote 323-473-4893. We take all major credit card companies including: Mastercard, Visa, Amex, and Discovery. A 3% non-cash fee will be added to order for all charges. To avoid these fees you may pay by bank transfer, check, or wire. Please call 323-473-4893 or email sales@laphotoparty.com for help finalizing your payment. Yes, Sales tax is charged for those purchasing from California and New York. Standard sales tax rates apply. Sales tax is not applied from any other state or internationally. Are there multiple booth discounts? Yes, Please call 323-473-4893 or email sales@laphotoparty.com for help with multiple booths. Does the booth come with printer? Can it print? Our booth can work with any printer that you can get current Windows 10 drivers for. 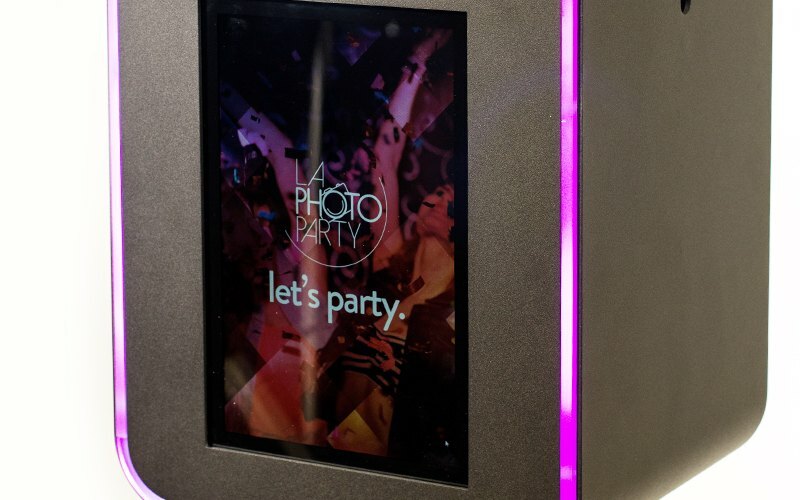 Our Photo booth software can print photo strips, flipbooks, 4×6, 5×7, 8×10, and many other. You can even print panoramics from your Virtual Reality photos. It can also print from any activation including: stills or flip books from videos, GIFs, Morphs, etc. 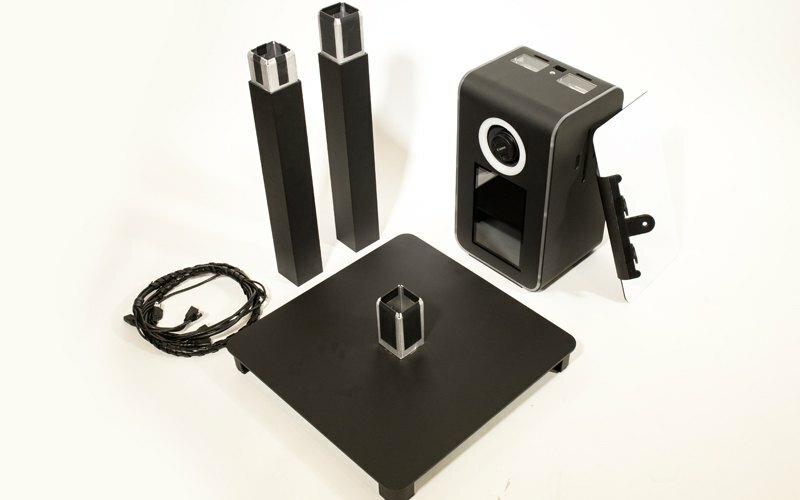 We can make printer recommendations and even provide turn-key printer included setups. Is there training that comes with the booth? Everyone that purchases a booth will receive a free 1 hour one-on-one training session. This session is administrated by our Tech Support Team. The booth also comes with a library of tutorials, FAQ’S, Videos, discussion topics, and a Facebook user group where owners help each other out. Does LA Photo Party Provide Tech Support? Yes, our Los Angeles based tech support team is considered to be the most comprehensive support in the industry. What if I have a camera already? 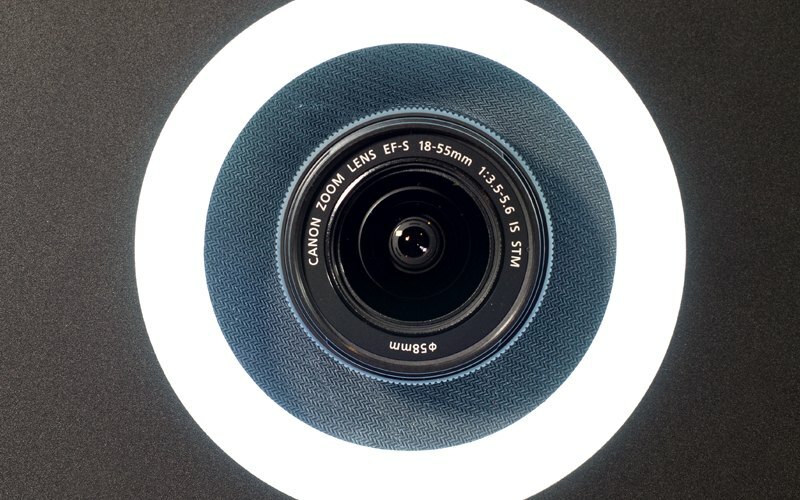 Our booth will work with any Canon DSLR Camera that fits dimensionally in the booth. We primarily use the Canon T5i. Let your sales rep know what camera you are planning on using so that we can have your booth wired for you and you can plug and play. We only provide dummy batteries for t5i. Does your booth require an attendant? No it does not. Our booth can be setup to run on its own with the guest taking their own photo using a count down or our smile-to-trigger facial recognition feature. Some of the more advanced features like Virtual reality would require an attendant. LA Photo Party guarantees the manufacturer’s warranty on all major equipment for VENTURE. The following warranties go into effect immediately upon the date of purchase. Replacement: LA Photo Party will ship a used Canon Camera to the client and cover ground shipping costs. The client is responsible for returning the camera to LA Photo Party and covering any return shipment costs for the damaged Camera. LA Photo Party will help complete Canon RMA forms. Shuttle Computer: 2.5 Year Warranty – *Does not include screen scratches or any physical damage caused by user. Replacement: The client must send the serial number, located on the back of the Shuttle Computer, to our office. LA Photo Party will help with all RMA forms. Shuttle Computers will provide a shipping label so the client may ship the damaged computer directly to the manufacturers. Shuttle will deliver their replacement computer within 7-10 business days. Replacement: In the event of any damages, LA Photo Party agrees to ship a new Lenovo Keyboard/Mouse at our expense. The client is responsible for shipping their damaged Keyboard/Mouse to our office at their own expense. General Rule for Replacement: LA Photo Party accommodates a standard 3-5 day for shipping to any client. All clients are responsible for covering return shipment costs. If the client needs expedited shipping, the client is responsible for covering all costs beyond the standard shipping rate accommodated by LA Photo Party. International shipping: All international shipping TO and FROM Photo Party Upload to be paid by client in both directions. If any items arrive damaged please do not use the item at all as we have to show that the damage occurred during shipping. If the item shows signs of use then the shipper may not cover the item by their insurance and the warranty will be void. 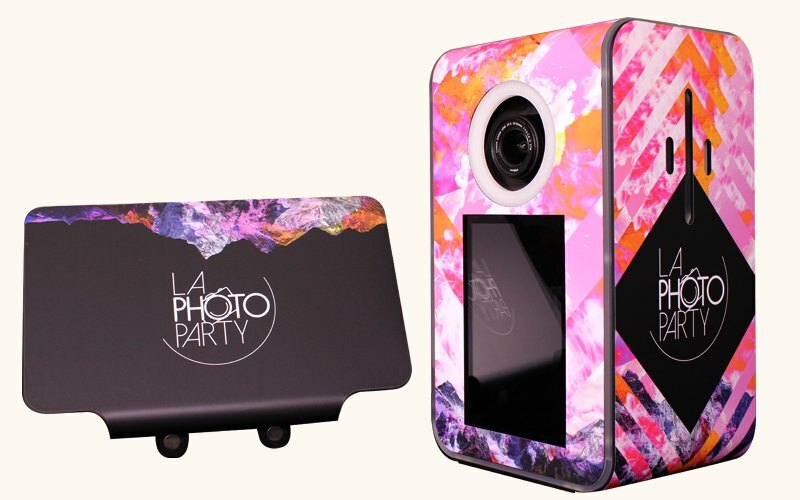 Please contact LA Photo Party immediately if an item arrives damaged by e-mailing info@photopartyupload.com or by calling 310-817-0998. You have 48 hours after receiving your shipment to inform us it was damaged during shipping, beyond this time we can not accept the item for replacement. Workmanship is covered for 2 months after receiving your VENTURE. User caused error defined as any use beyond normal event use including but not limited to bending parts, dropping parts, scraping parts, etc. is not covered by the warranty. Does your booth come with any marketing materials? Our booth comes with an comprehensive marketing package. Take a look at what you get with LA Photo Party… VENTURE MARKETING LINK. Please note that this is not a franchise opportunity. We also do not supply samples of the features for our customers. The reason being that you could have multiple companies pitching a job with the same materials. What photo booth software do you use? We use our own software called Photo Booth Upload (PBU). Generally considered the best photo booth software for pros. This is the software that takes all the the photos, videos, gifs, morphs..etc. Our Uploading Software Photo Party Upload (PPU) is also installed. Read below for more details on PPU. What is Photo Party Upload and are there any charges to use it? 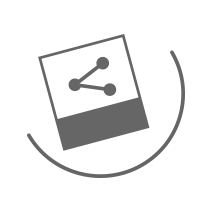 Photo Party Upload – The Event Photography App – is an iPad and Windows device based solution for event photographers and the marketing industry. The first of its kind, Photo Party Upload allows event photographers to wirelessly transfer photos from their camera to their iPad or Windows device. Guests can then upload their photos from their device to email, text, Facebook, Instagram and Twitter. Photo Party Upload also allows for data capture, Facebook “Likes”, uploads to Facebook fan pages, surveys, and more. All sharing softwares charge for their service. Our software is a pay per use setup Vs. purchasing and paying an ongoing fee. This means that there are no costs to put it on as many iPads and/or Windows tablets as you want and best of all, you only pay when you use it. These fees can be passed onto your end client as social media costs. The branding opportunities and features are well worth it. Our PPU fees directly pay for the 7 day a week tech support for your booth and free updates for life. 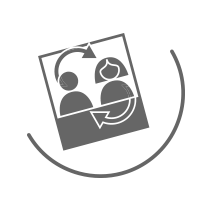 How Does Photo Booth Upload (PBU) and Photo party Upload (PPU) work together to make a powerhouse of software? Photo Booth Upload(PBU) is the booth software, which takes your pictures, videos, gifs, morphs..etc. 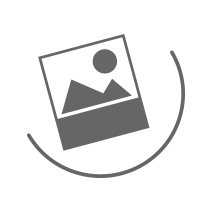 Photo Party Upload(PPU) is the Sharing software, which can be sent to Facebook, Twitter, instagram, text, email and print. Do you supply graphics for my events? Our photo booth software arrives with a bunch of default graphics for you to start playing with. While we suggest every company add a talented graphic designer to there team, If you need specific graphics moving forward, we can help. We have a full time graphic design team that can help you with any of your needs. Please call or email graphics@laphotoparty.com for pricing. Can your booth do filters similar to Instagram? Yes. Our software comes with a variety of default filters similar to Instagram and you can even make your own filters. If you want to get even more advanced you can setup Photoshop actions in order to achieve any custom look that your client asks for. Do I have to get paper and ink through you? No. There has been a history of photo booth companies being the only ones you can get media from so they make money off you for the life of the booth. We do not sell paper and ink as a business. We can recommend a partner companies that sells paper and ink. Or you can also get it through us if it makes it easier to deliver everything at once. The VENTURE is proudly manufactured locally in California and assembled at our company headquarters in Glendale, CA. Is additional lighting needed with the photo booth? For all still photography no additional lighting is necessary to take an amazing picture. The two flashes shooting up into the bounce card is all that is needed. For videos you will need constant lighting. This means a light that is continuously on not a flash. For this we recommend specific lights in our shop and they can be placed on either side of the photo booth. Also the bounce card comes off and a constant light can be placed on top of the booth via the baby pin that comes with the booth.